Gov. DeSantis Wants To Get Rid Of Common Core. Will It Actually Happen? Governor Ron DeSantis turned his attention to education last week, announcing that he is ordering the state’s Education Commissioner Richard Corcoran to come up with new education standards and erase the “vestiges” of current standards, commonly known as Common Core. The SAT is undergoing a big change, with a new version of it debuting in a few weeks. One of the biggest changes that college-bound students can look forward to is the vocabulary section. The current test contains words or language that you’re not likely to ever use or hear again. Case in point: “antediluvian” - meaning the period before the biblical flood. The new one will contain more commonly used words to define. And, of course, Florida plays a starring role. Warning: Salty language, off-color jokes and test monkeys ahead. On the Florida Roundup, here are the week's topics we discuss. About 850,000 Floridians live in the health coverage gap -- they don't earn enough for subsidies through the Affordable Care Act but they don't qualify for Medicaid. However, they would benefit from Medicaid expansion if it was enacted in the state. Lawmakers haven't come to an agreement. 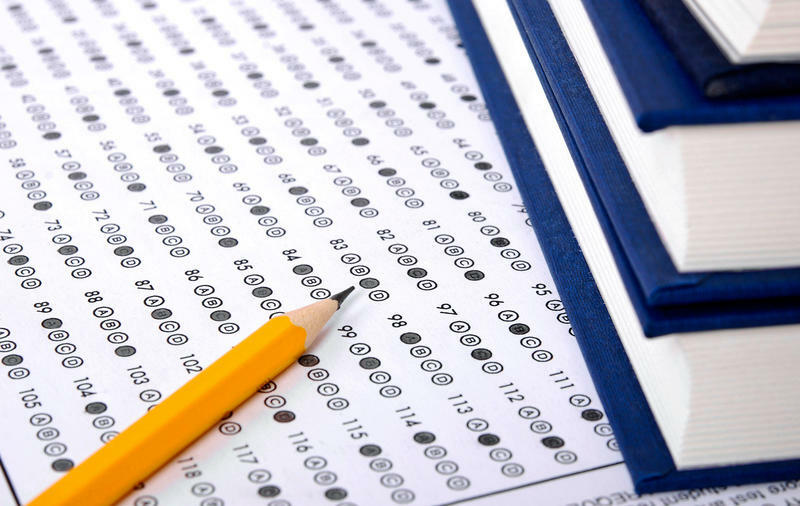 Across Florida, parents and teachers are pushing back against standardized testing in public schools. One way is simply “opting out” – or keeping their children from taking the test. And now a national organization opposed to public education's reliance on standardized tests is bringing its message to Fort Lauderdale. Editor's note: This is a pre-recorded episode. In this episode of The Florida Roundup, we discuss what's ahead for Floridians in the new year. A few political possibilities hang in the air for 2015. Former Florida governor Jeb Bush is making way for a 2016 presidential run. Miami-Dade County Mayor Carlos Gimenez reconsiders his party affiliation. While this isn't an election year, candidates will make their future intentions known.